SureCall Fusion4Home cell phone signal booster increases cellular signal strength for voice, text and 4G LTE data for all North American cell carriers, including AT&T, Verizon, Sprint and T-Mobile. 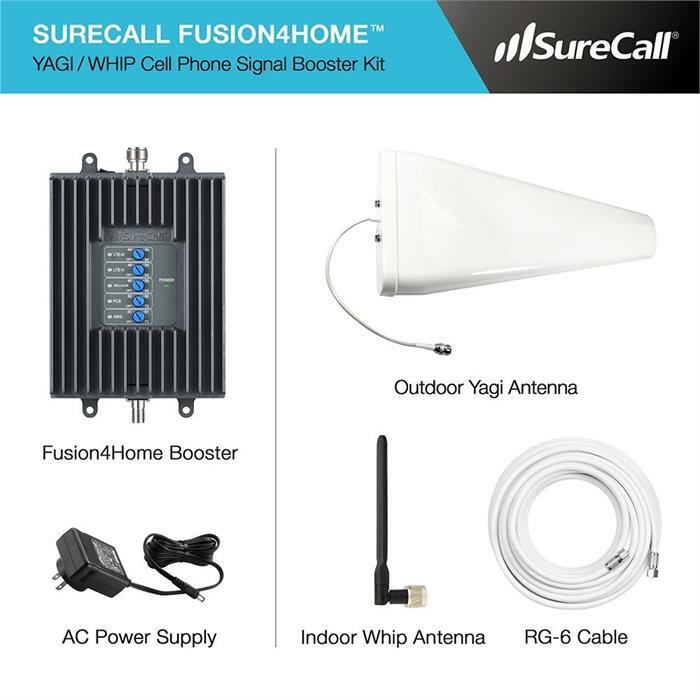 Dropped calls are history, as SureCall Fusion4Home provides clear and consistent coverage for all cellular devices in a home or office, up to 4,000 Sq Ft.
SureCall Fusion4Home comes with 3 year warranty. FCC approved for use with any US cellular carriers. HiBoost Home 10K LCD signal booster for use in home or office environment. F15G-5S-LCD increases 4G LTE data signal as well as voice. Hiboost 10K signal booster cover upto 10.000 sq. ft. area. HiBoost new Home 4K F10G-5S-LCD is supercharged with superior technology so all your calls are clear as a bell and you enjoy lightning fast downloads. A perfect fit for homes or office use. 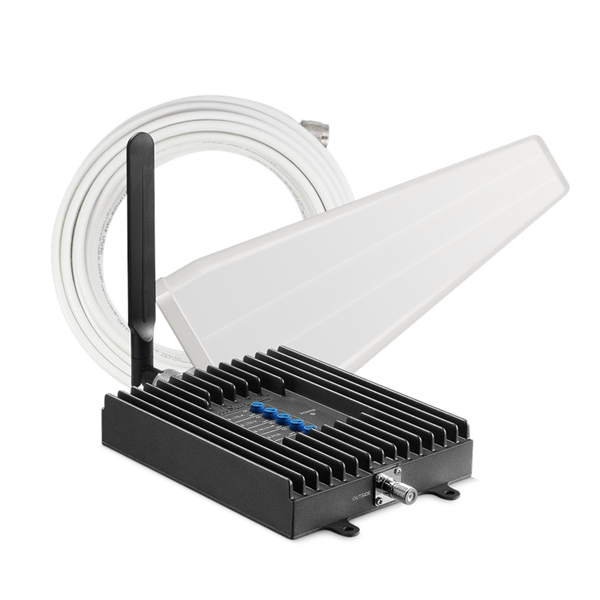 weBoost Connect 4G cell phone signal booster for small in-building signal coverage. weBoost Connect 4G cellular signal booster improves coverage including 4G, 3G and 2G data downloads – for subscribers of all US cellular carriers (except Clearwire).